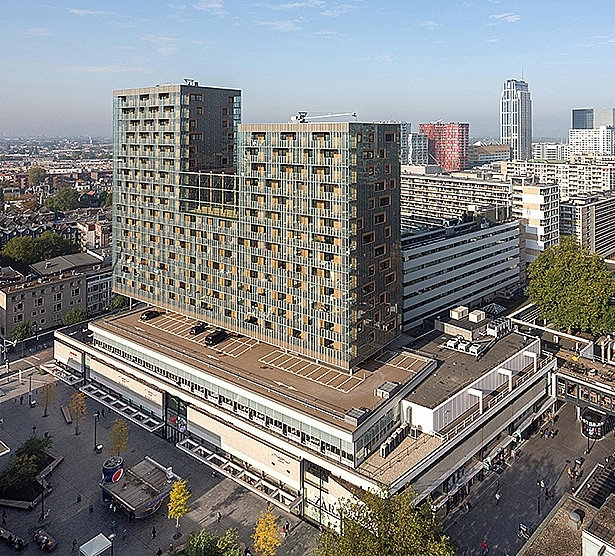 Nominated for the Dutch Sustainability Prize Steel 2014 (f.l.t.r. 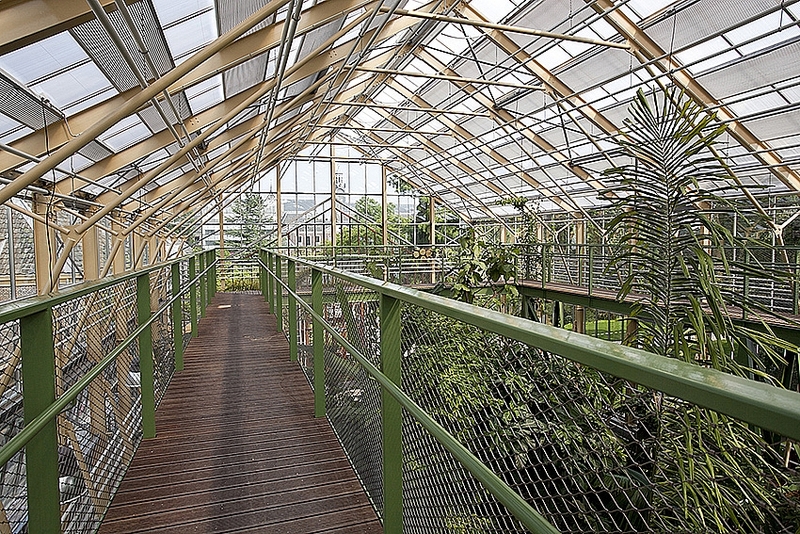 ): restauration Hortus Botanicus, Leiden (Architektenburo Veldman | Rietbroek | Smit), flexible footbridge Eventbridge (Movares Nederland, photo: N. Blekemolen) en appartmentbuilding De Karel Doorman, Rotterdam (Ibelings van Tilburg Architecten, photo: Ossip van Duivenbode). This website provides information about the possibilities, benefits and performance of steel as a sustainable building material. The information is arranged into interesting sustainability themes such as energy, lightweight construction, recycling and reuse. In addition the website provides access to other websites and publications covering sustainability and environmental aspects of steel and steel building applications. And of course we cover the latest news about events, products, concepts and projects. Steel is industrially produced under controlled conditions. There is little or no construction waste. By-products such as blast furnace slag cement and gas can be reused. Continuous innovation in production techniques and methods has provided a permanent reduction in energy used and emissions. The increasing use of used steel (scrap) in the production of new steel creates less and less need for the raw materials iron ore and coal. Currently over 80% of all steel beams are made from scrap. You don't consume steel, you just ‘borrow’ it from nature. It is possible to make all standard steel grades from scrap steel. There is no question of 'downcyling'. The new steel retains its properties and remains suitable for high performance applications. In the case of galvanized steel, the zinc is first separated from the steel and then can be used to make new zinc. Building with steel involves low use of raw materials. For each structural member no more material is used than is necessary for that member to perform its function. The use of stronger steels enables a further reduction in the quantity of material needed per structural element. A steel load-bearing structure provides ample freedom in the arrangement and rearrangement of the building. A skeleton-like structure facilitates the relocation of interior walls, the replacement of facade elements, and even the later merging of floors or the installation of lifts or stairwells. A lower floor height is the result of the full or partial integration of steel beams in the floor structure. 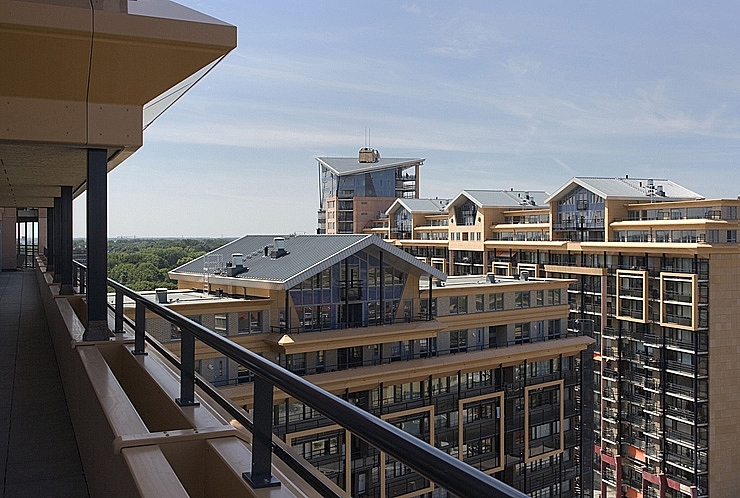 The lower floor height limits the volume of the building. This means less volume to be cooled and heated. The energy bill can become lower. A steel building member has a long service life. Several environmentally friendly system types are available for protecting steel, including several coating system types, duplex systems (galvanizing + coating) and hot sprayed aluminium. The protection is applied in the factory under controlled conditions. Steel inside buildings does not usually require corrosion protection. 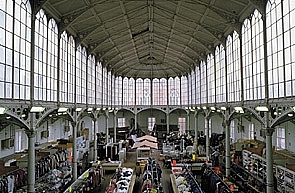 A steel building has a long service life, but at the end of the service life the structure is just as easy to dismantle as it was to construct. After dismantling, following some adaptation the original parts are suitable for reuse as building components in new construction projects. 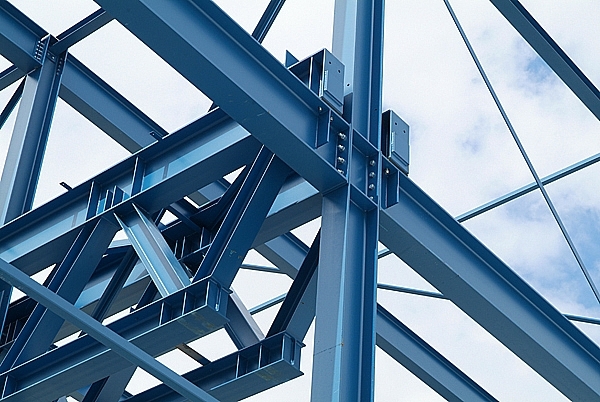 For example at present 50% of all structural steel is reused as building components. The remaining proportion is used as scrap in the production of new steel. 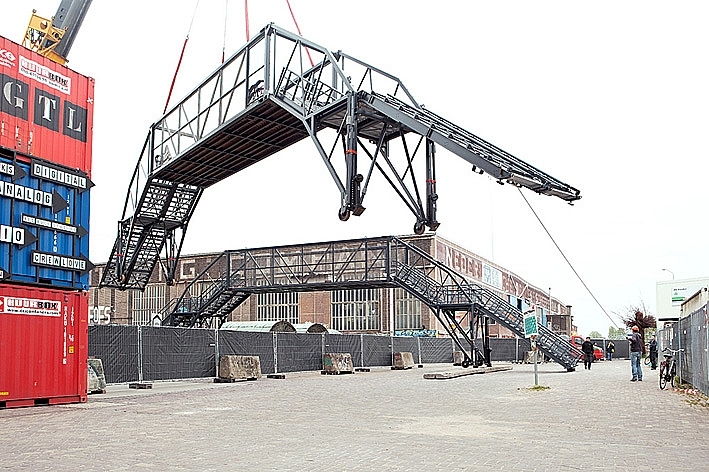 The easy dismantling makes steel ideally suitable for temporary buildings. 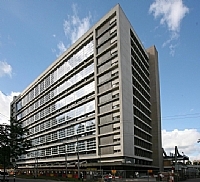 A building can have a prolonged service life, e.g. by 'topping-up'. One or more new floors with a light steel structure minimises the extra loading on the existing structure and foundations and saves expensive reinforcement. 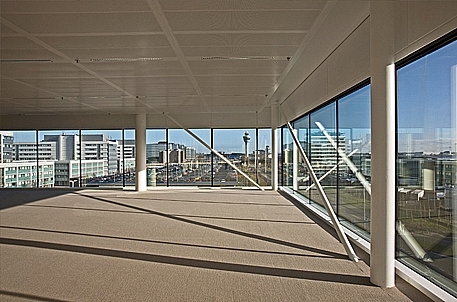 The new steel floors can enrich the existing functional program, improve the image and also increase the profitability of the entire building. 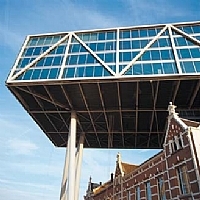 In addition to 'topping-up', steel lends itself to other forms of intensive use of space. Characteristics such as low weight, dimensional stability, small scale, strength and stiffness enable the uses of steel include building on top of existing infrastructure, adding new functions to an existing building or the insertion of a new building in an existing street frontage. 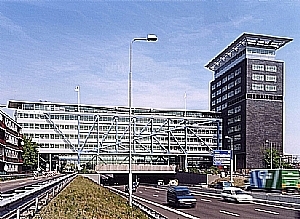 Photos of projects (from top to bottom and from left to right): Outlook business centre (Schiphol) • Korenbeurs, Groningen • The Beacons residential building, Zwijndrecht (top-up and renovation) • Bruggebouw Zuid, Amsterdam (the office building is a bridge over a main road) • De Brug office building, Rotterdam (building over another building) • Jobsveem living & working premises, Rotterdam (reuse of warehouse) • HET office building, Naaldwijk (reuse of gasholder) • Central Post business centre, Rotterdam (reuse of distribution centre) • Kraanspoor office building, Amsterdam (new construction on existing foundation).